The Virgin Mary makes only brief appearances in the gospel narratives, but over the centuries has been one of the most significant features of Christianity. Her status and role were debated in the Christological controversies of the fifth century; since the Reformation attitudes to Mary have defined confessional identity. With the emergence of feminism, Mary's function as female role model and status as antidote to Eve has provoked further debate and controversy. 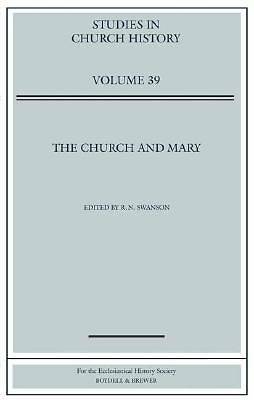 These articles survey and contribute to the continuing discussions of the role of Mary in the Church and its historical development. Ranging from early Byzantium to modern Ethiopia, examining issues including Reformation debates, local Genoese cults, and Victorian poetry, the volume demonstrates that Mary has constantly been a dynamic and formative influence throughout the history of the Christian religion. Contributors J. BAUN, WALTER BERSCHIN, SARAH JANE BOSS, A. CAMERON, KATE COOPER, MARY B. CUNNINGHAM, C.M. ENGELHARDT, NANCY DE FLON, THOMAS S. FREEMAN, JANE GARNETT, S.P. GILL, JOAN GREATREX, BRIDGET HEAL, TREVOR JOHNSON, KALIRROE LINARDOU, DIARMAID MACCULLOCH, HENRY MAYR-HARTING, IONA MCCLEERY, JEREMY N. MORRIS, W.B. PATTERSON, PATRICK PRESTON, RICHARD M. PRICE, A. GERVASE ROSSER, DAVID SKINNER, NICHOLAS VINCENT, WILLIAM WIZEMAN, A.D. WRIGHT, D.F. WRIGHT, M.C. WRIGHT.